On Tuesday, March 20, our Lower School Robotics Club hosted an exhibition in the Assembly Room. The students were excited to share what they had learned, programmed, and built this season with friends and parents. Students built robots and programmed them to autonomously complete First Lego League hydrodynamics missions. There were roughly 20 possible tasks that teams could attempt to complete with the robots they had designed using attachments, extra motors, and programming. Teams earned points for each mission they successfully completed in two, four-minute rounds. 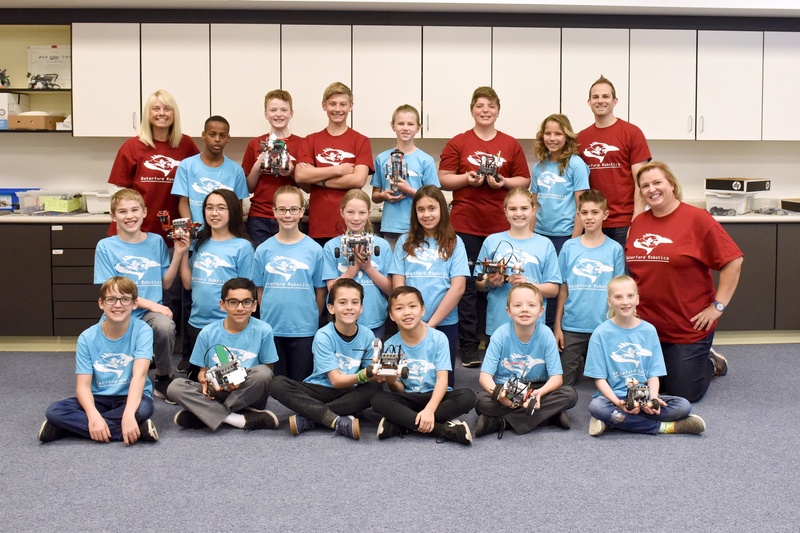 Students were thrilled to score higher than expected at the exhibition, and the coaches were especially impressed with the the individualized robots and programming this year. 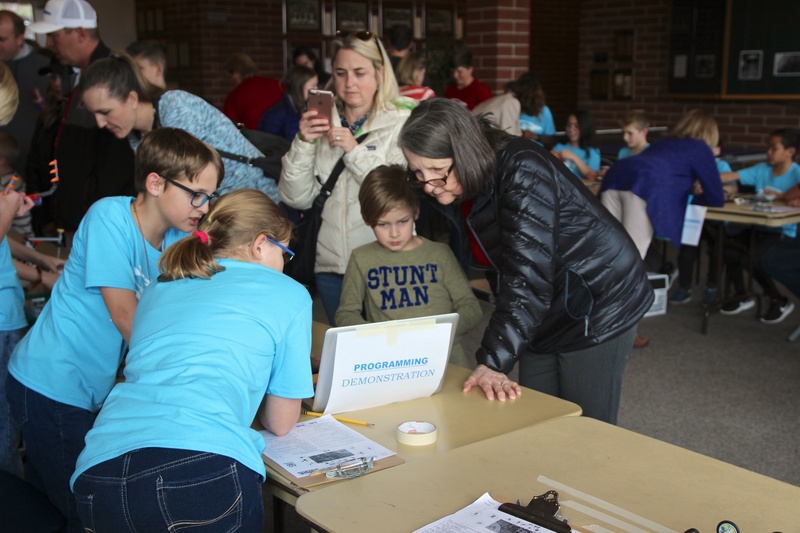 Because we hosted our own exhibition, Lower and Upper School students were able to share different aspects of robotics including programming, building, and design with visitors in a combined effort. At the end of the exhibition, our Upper School Robotics teams entertained us by driving several of the robots they have designed over the years and demonstrating the tasks they were designed to complete. At the end of the evening, one of their robots even climbed a rope! Lower School roboticists are more enthusiastic about robotics than ever, and they can’t wait to join the Upper School teams when they are older.